Choosing the right products to achieve the right finish is a job we believe shouldn’t be rushed. We want our customers’ work to stand the test of time. There’s plenty of free customer parking, including dedicated disabled parking bays, so you can take all the time you need to examine our comprehensive range of wallpaper books and interior and exterior paints, or take advantage of a kitchen consultation. We also carry out site visits and can arrange for local deliveries to site. 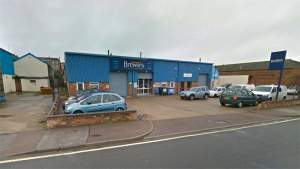 Brewers Decorator Centre in Lowestoft is on the Sunhaven Industrial Estate, close to the most easterly point in the United Kingdom – Ness Point – and near ‘Guliver’, the UK’s tallest wind turbine. Brewers is the only decorating centre in Lowestoft and so we try to offer local tradespeople, interior designers and homeowners the very best products and service possible. If you’re in need of decorating advice, there’s nowhere nearby you’ll find the same depth of knowledge and amount of experience – two of our staff have more than 43 years’ experience between them!